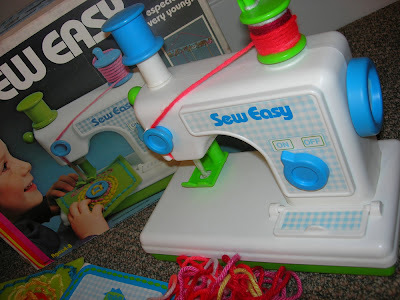 Only 5 days left to be able to participate in our Red and Green Moda Fabricmatcher challenge! See below for the contest rules. 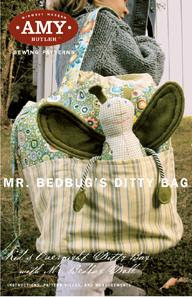 Also, check out our October 2008 Fabricmatcher winner for the "Fun with Figs" contest! 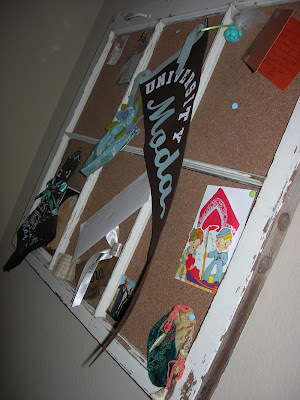 Amber has a very cute blog you will have to check out! Go on over and say HI! 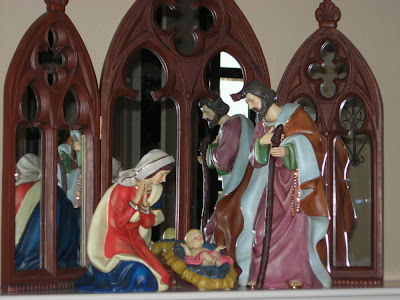 1 – You must only use Red and Green fabrics.You can easily find fabrics that are Red and Green by using the Color Matching Tool under Find Fabrics, then click on the Color Matcher tab. Select a Red and/or Green and search away! 2 – You can use any pattern available on our Moda Fabricmatcher website under Find Patterns. 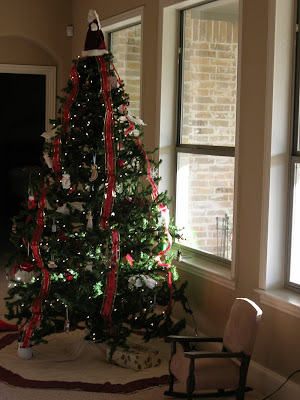 3 – Your project must be named “Holiday Bliss“ in order to be eligible. 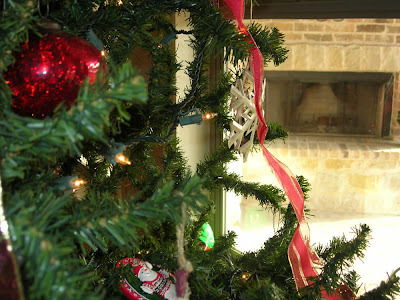 You may enter as many projects as you wish, however they must have “Holiday Bliss“ as the project name. Simply number them with a 1, 2, 3, etc. after the name. 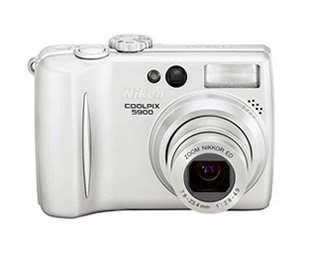 4 – The “Holiday Bliss” Contest will end on November 30, 2008 at midnight. REMEMBER: You must have your Stash including your Projects available for the Public to view. 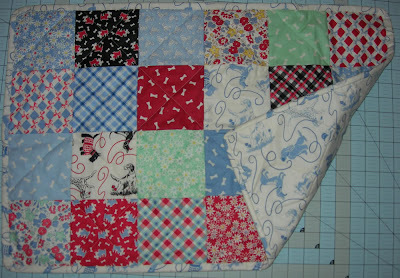 You can make your stash public by following the instructions under the heading "How to enter" on the Win a Quilt Kit page under the Show & Tell tab. The Moda judges will select and announce the winning project the first week of December 2008. The winner of this contest will win a Holiday Basket filled with our favorite things and your project will be posted on our Moda Fabricmatcher website. 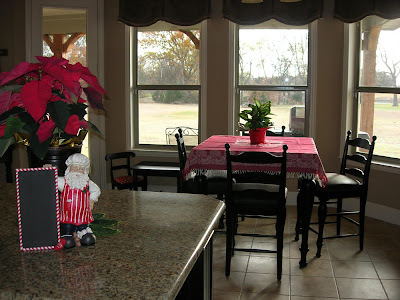 Hey everyone... you need to check Holly's new blog! Holly is a very talented coworker in the Moda marketing dept. and one of the URBAN CHIKS designers for Moda Fabrics! 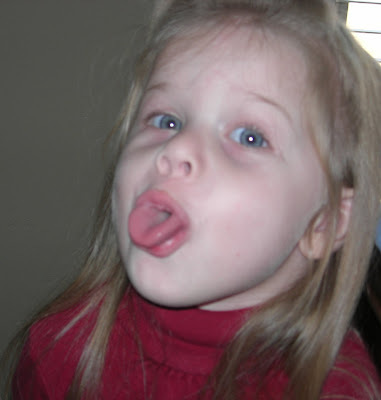 Go on over and give her a GREAT BIG blog world welcome. 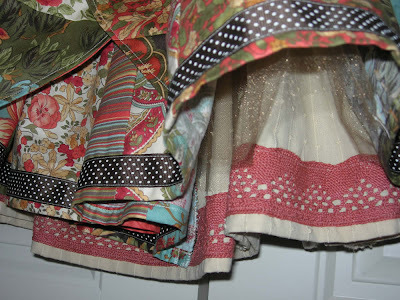 I was able to sneak a few pics of this skirt before my hubby left with the camera again. Honestly... How cute is this skirt?!?! I am going gaga over it! I am so proud of myself for making this... it turned out so beautifully! Paige has been wanting to wear this skirt everyday. 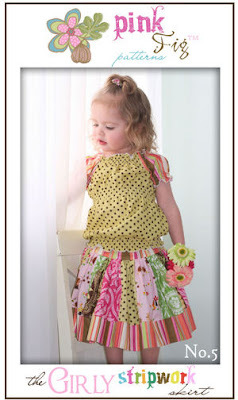 This skirt pattern was designed by the very talented Jess Goldman of Bananafana. 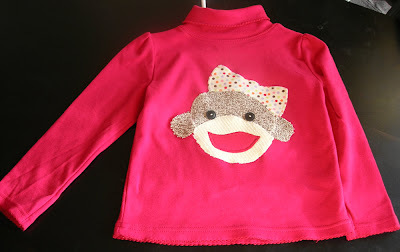 I had the pleasure of meeting her at Quilt Market this past month and she is so sweet and adorable! She truly has some magnificent designs and I want to make them all! 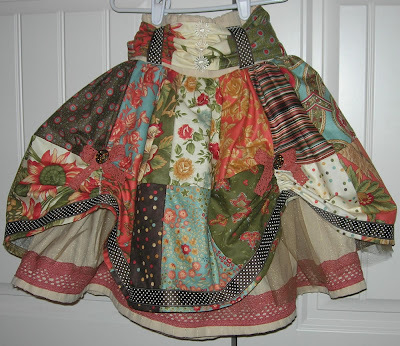 This particular pattern called for 10 strips of fabric sewn together side by side to create the top of the skirt. 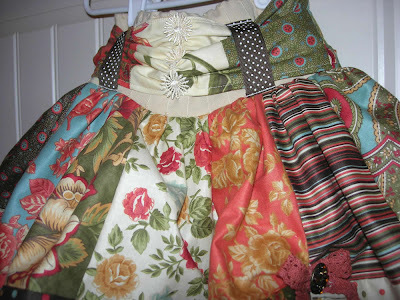 I wanted to create a more patchwork look on this skirt (also because I had a designer roll I wanted to use), so I divided the measurements up by four (adding extra for all the seam allowances) and stitched it all up so it equalled the same length and height that the pattern recommended for the size necessary. I made the 4T-5T size. Sorry, no spilling any instructions or measurements here.... you must purchase the pattern by Bananafana. 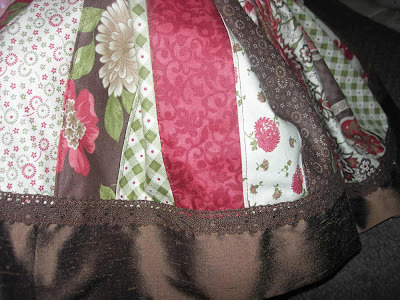 I used the Sonnet Collection by April Cornell for Moda Fabrics for the fabric and crochet trims and then found a dark brown dottie grosgrain ribbon and amber colored crystal buttons for the other accents on the skirt. More of the April Cornell trims with flowers for the middle of the waistband to finish it off. 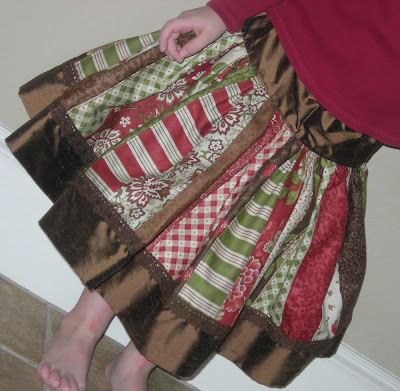 This skirt, as it looks difficult, is actually fairly simple to make. Just lots of layers.... lots of wonderful layers! 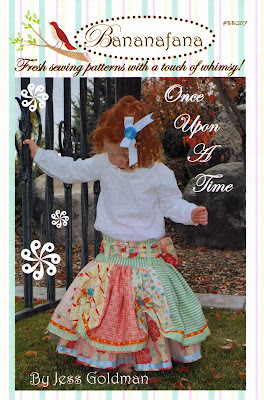 If you too want to make this beautiful skirt, just purchase the Once Upon a Time pattern by Bananafana. 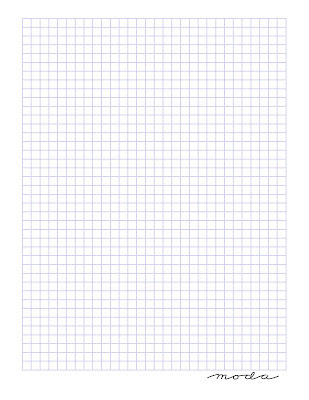 Have you ever searched all over your craft room looking for just one piece of graph paper to sketch out a new design of a quilt or project? Look no more! 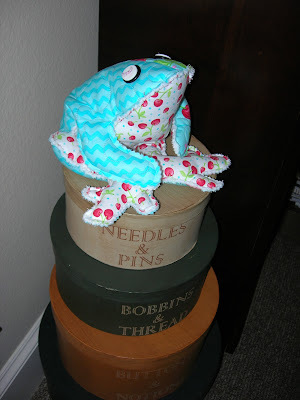 Just hop online and go to http://www.modafabrics.com/, rollover Fun Stuff and click on Graph Paper, Print and vwala... instant graph paper! How about that older Moda Fabric collection that you want to design a quilt or project with in EQ6 or Moda Fabricmatcher and you need some images to upload? Well, thanks to the wonderful suggestion from Bloom, we have added a Moda Fabric Archive to our website so you can download the JPG images of older fabric collections. 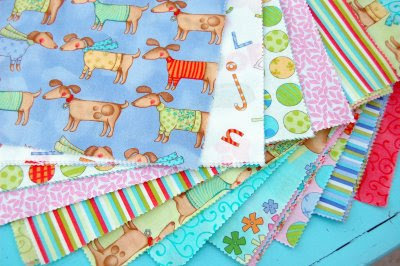 Simply go to http://www.modafabrics.com/ and rollover the Fabrics title, then click on What's New. 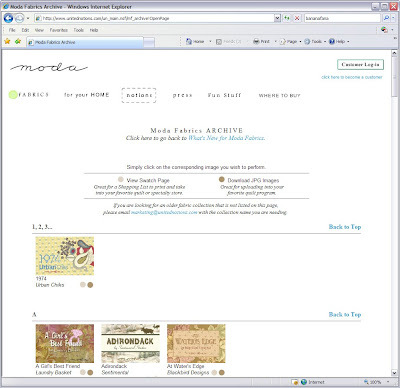 Under the What's New for Moda Fabrics title is a link to the Moda Fabrics Archive. Just click and searching! 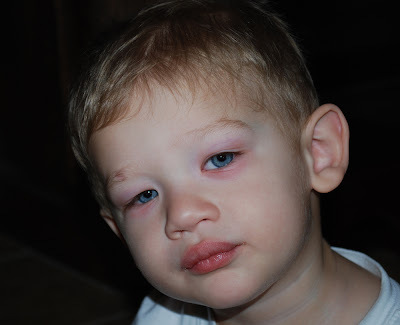 I also want to thank everyone that posted a comment and/or suggestion about Moda and our websites on my Giveaway. Bloom's suggestion was so great we decided to implement it on our Moda website. 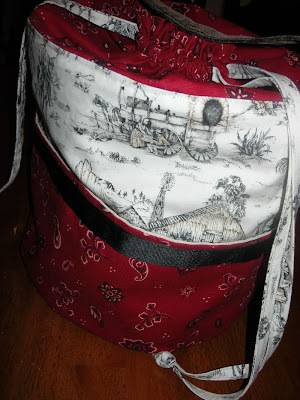 In this Giveaway, everyone was a winner to me, so I sent everyone a Moda hanky and tissue holder, except for Bloom that is. Bloom received an additional special gift since her suggestion was actually posted. 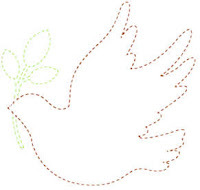 Congratulations to everyone and Thank you! Your comments and suggestions are always appreciated! OH!... 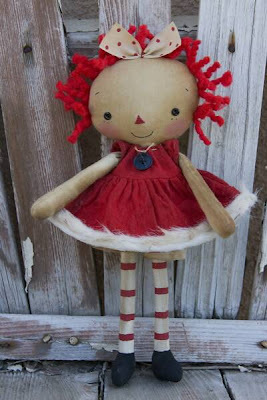 I also received a special little Annie yesterday in the mail that I ordered through Nicole at http://www.raggedyoldannies.com/. 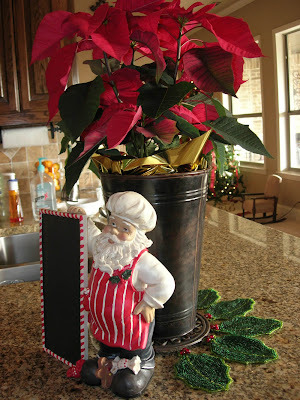 Meet Santa Tiny Annie... she is our newest addition to our household. Paige has recently adopted Edna Annie out of my office and Santa Annie and carries them all over the house. 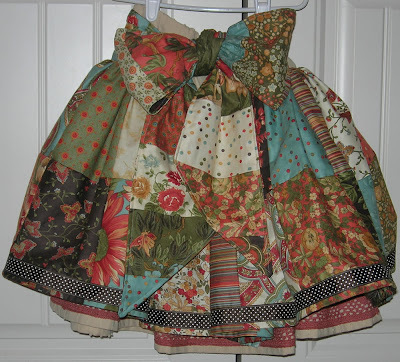 Nicole does such wonderful work making these annies look vintage and stylish. She is sooo adorable and so tiny! Also, stay tuned... 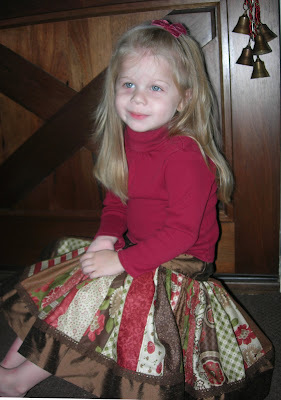 I made a Banafana skirt this past weekend for Paige to wear on Thanksgiving ...and the day after that... and day after that... and so on.... and so on... and so on. 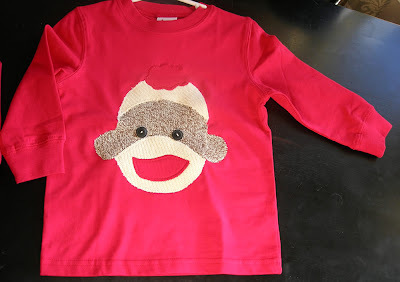 IT IS TOOO CUTE! 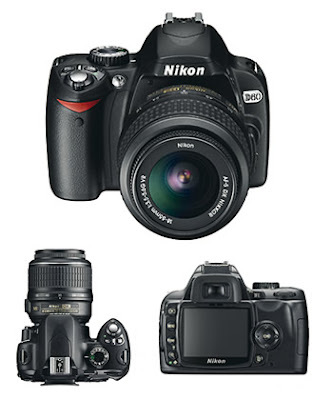 Can't wait to show it off, but my hubby has the camera so I have to wait for him to bring it home. 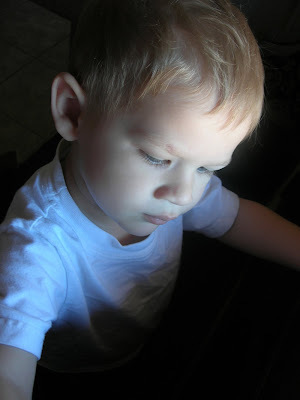 This past weekend I decided not to get on the computer and to spend some time playing with my kiddos and completing some existing projects that some... well, lets just say it's been a while since I have worked them. I finally got around to take some pictures tonight to post. It feels so great to have them finally completed so I can now move on to some new projects. Project #1 - I started this quilt 2 years ago for my dad. My dad is a big collector of the antique Snoopy Flying Ace as he is a pilot (not commercial). He has been flying since he was 13 years old and absolutely loves it! So... my bright idea was to make him this quilt 2 years ago for Christmas.... and as you can see it just got finished. YEAH!!!! 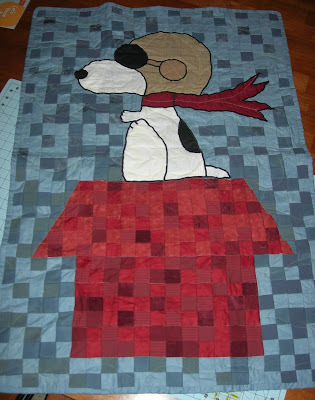 I used 2" Quilt Fuse and applied various blue fabric squares for the sky and various red fabric squares for the dog house. 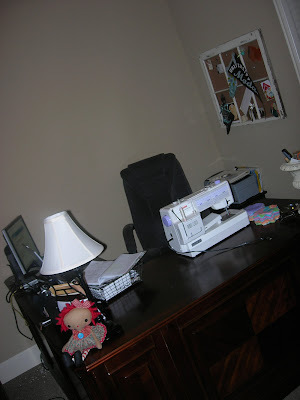 I then drew out snoopy applique pieces on fabric to create what you see in the picture. To finish it off, I stitched a very tight zig zag around each piece to give it an embroidered look. 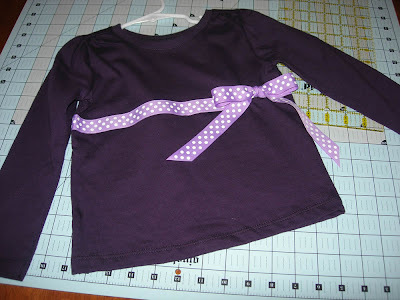 Project #2 - I bought some solid Geranimal shirts for the kids from Wal-mart and then bought several types of Grosgrain ribbon to emblish them with. This is the first shirt I did. Paige actually helped me decide how we were going to embelish the shirts. 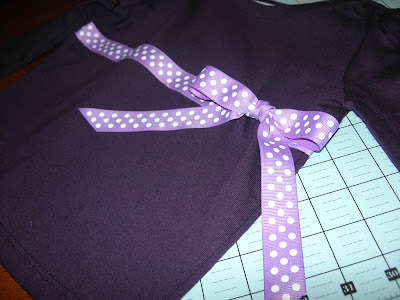 We did this purple one and also a light pink shirt. They really turned out very cute! 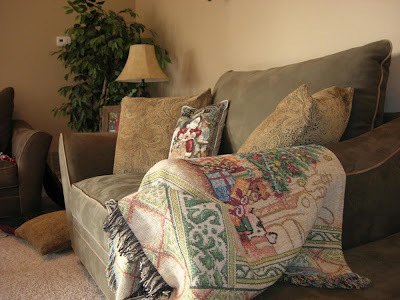 Project #3 - Remember our little maltese dog, Abby? Well, we did find her a great new home back in September and she now has a playmate, MacKenzie. Well... 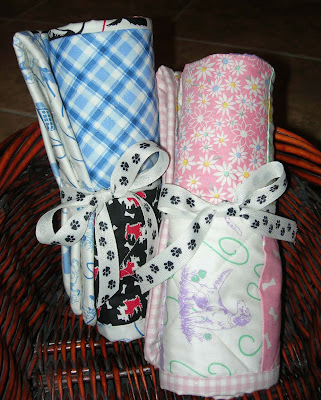 I had a Moda Pampered Pooch charm pack and decided to make Abby and MacKenzie a small doggie quilt for Christmas. I was able to make two small quilts out of one charm pack. I just split the colors up for a boy quilt and a girl quilt. 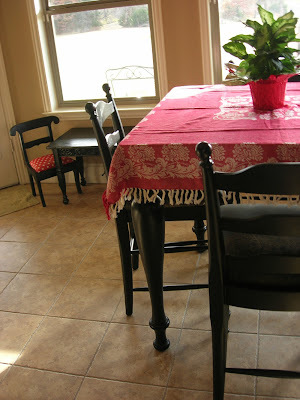 These work great as doll quilts, too! 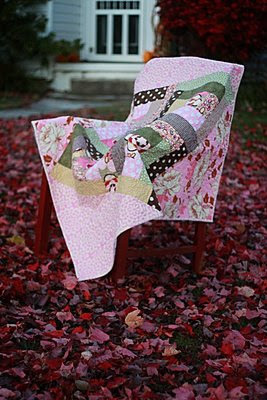 Fast and easy... just my kind of quilt! 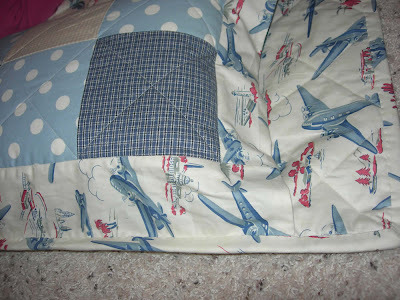 Project #4 - Last, I finished a vintage airplane quilted napsack for Matthew. 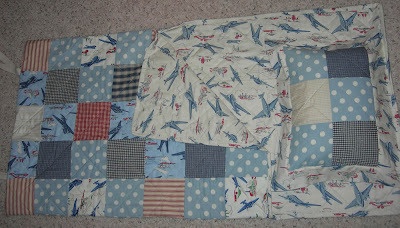 I used the Moda Home Vintage Airplanes fabric and various other Moda fabrics for this napsack. 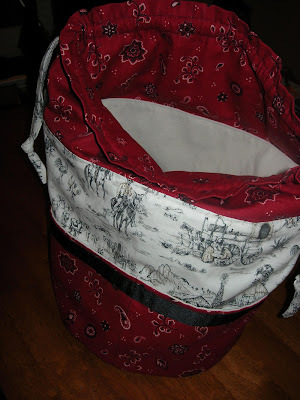 I had some people ask what to use for the closures on a boy napsack, so here is what I do. 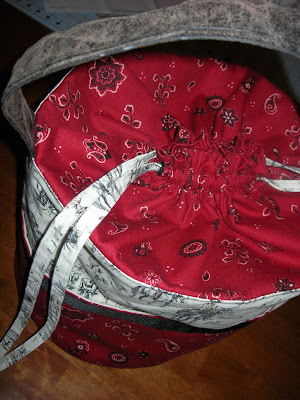 On this particular one I used natural twill tape and added snaps to keep it rolled up. 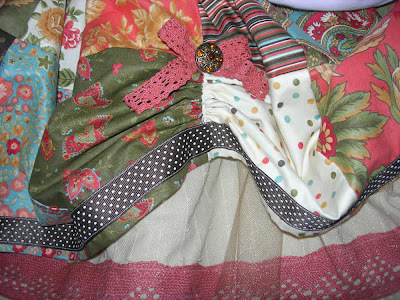 I have also used velcro in the past on a boyish grosgrain ribbon. I went with the snaps this time to give it that more utilitarian look. 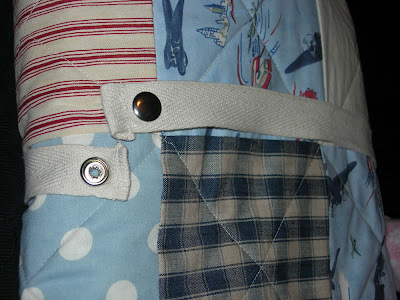 Someone else also asked how I attached the pillow on my quilted napsacks. It is actually very easy. 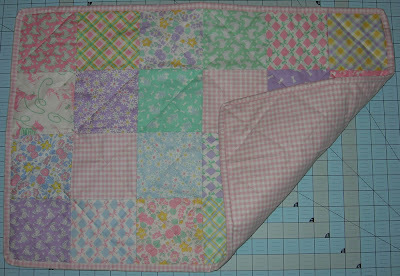 I just add an additional inch on the top flange so I can stitch it to the top of the napsack before binding. 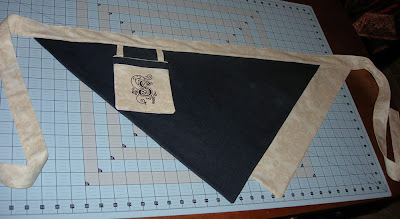 Just make sure to use no more than 1/4" seam allowance so when you bind it, the binding will cover the stitching.